This post has expired! It was posted more than 521 days ago. We invite applicants for an industrial research position to develop, scale up and test a new class of polymeric hollow fiber membranes for application in the field of gas separation. The fibers will be fabricated a non-solvent-induced phase inversion process using spinning technology. The ultimate goal of this project is to validate the new technology in an industrial environment. Your responsibility is to develop and optimize the membrane and find the most cost-efficient fabrication method that allows production of larger quantities of defect-free hollow fiber membranes. After thoroughly characterizing and testing the performance of the developed membranes, you will scale up the technology to allow preparation of commercially sized modules that will be tested in a demo site of a potentially interested end-user. This new membrane platform will open up a wide range of applications. To achieve this, novel approaches have to be used that haven't been explored before. Are you ready to contribute in developing a new generation of gas separation membranes? You are expected to contribute to the acquisition of (external) funding for both own research and that of other colleagues/collaborations. You are eager to engage in international and interdisciplinary collaboration and possess excellent communication skills. Are you up for the challenge contributing to changing the world with your research aiming to develop energy efficient separation technology that would significantly reduce CO2-emissions? You will be appointed for two year within a very stimulating scientific environment. The university offers a dynamic ecosystem with enthusiastic colleagues. 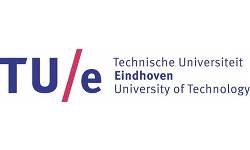 Within the TNW Faculty (Faculty of Science & Technology) of the University of Twente some 700 staff members and 2000 students are involved in training and research on the interface of chemical technology, applied physics and biomedical technology. Fields of application include sustainable energy, process technology and materials science, nanotechnology and technical medicine. Research, which enjoys a high profile both at home and internationally, has been accommodated in the multidisciplinary research institutes MESA+ and MIRA. 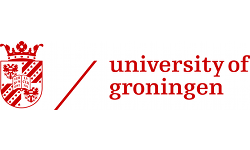 The faculty works together intensively with industrial partners and researchers in the Netherlands and abroad and conducts extensive research for external commissioning parties and funders.